Small-time private investigator Ray Lovell veers between paralysis and delirium in a hospital bed. But before the accident that landed him there, he’d been hired to find Rose Janko, the wife of a charismatic son of a traveling Gypsy family, who went missing seven years earlier. Half Romany himself, Ray is well aware that he’s been chosen more for his blood than his investigative skills. Still, he’s surprised by the intense hostility he encounters from the Jankos, who haven’t had an easy past. 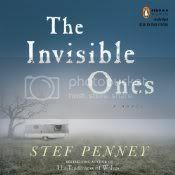 Touched by tragedy, they’re either cursed or hiding a terrible secret-whose discovery Ray can’t help suspecting is connected to Rose’s disappearance. . . .
With The Invisible Ones, Penney created a fascinating, twisting mystery with a level of detail about the lives of the Romany people that lends the story an air of authenticity. The characterization was very well done, particularly as the cast of characters expanded with the extended Janko family. My only real qualm is that I figured out the majority of the conclusion by about halfway through the book. Now, this may have been partially because I overheard a bit of discussion between two others who had read the book and something they said may have sparked the answer in my brain, I’m honestly not completely sure if I was looking for the answer or if it just was a bit too obvious. The good news is that even with being fairly certain of the ending I enjoyed the road Penney took me down to get there. Let me just say a two things here. First of all, Dan Stevens has a super dreamy voice. Second, he is an extraordinarily accomplished narrator, both in imbuing the authors words with genuine life and in his ability to differentiate between characters. For more, please read my review for Audiofile Magazine. An absorbing mystery that is only enhanced by the absolutely amazing narration of Dan Stevens. Grab the audio! I love Audiobook week! What a great idea. I have a friend who narrates audiobooks, and I think it sounds like the most excellent job ever. This sounds really interesting — I don’t think I’ve read any mysteries about Romany gypsies. 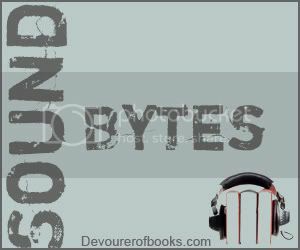 I will definitely be checking out your Sound Bytes — I don’t listen to as many audio books as I used to when I had a long commute, but they are still a great way to pass the time.